Lisa Rae Hansen sends us these images of her entry into Spaghetti Project's "Civil War and Our Founding Fathers" custom Qee show. Spaghetti Project is a store down in lovely Fredericksburg, VA, my favorite stop along I-95. 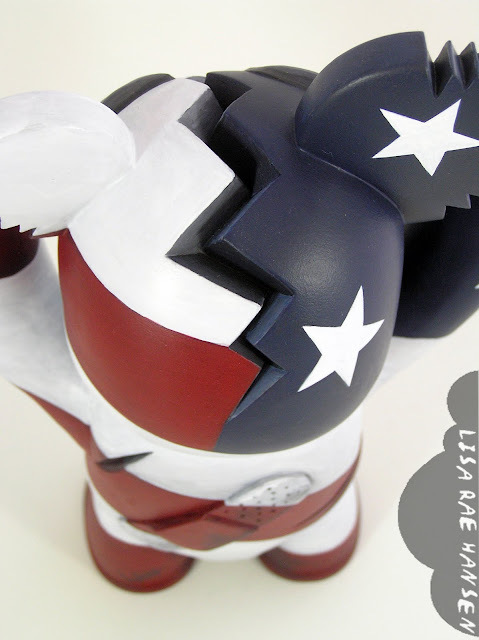 The customs from their Civil War-themed show are available for purchase here, and this particular custom is for sale here. 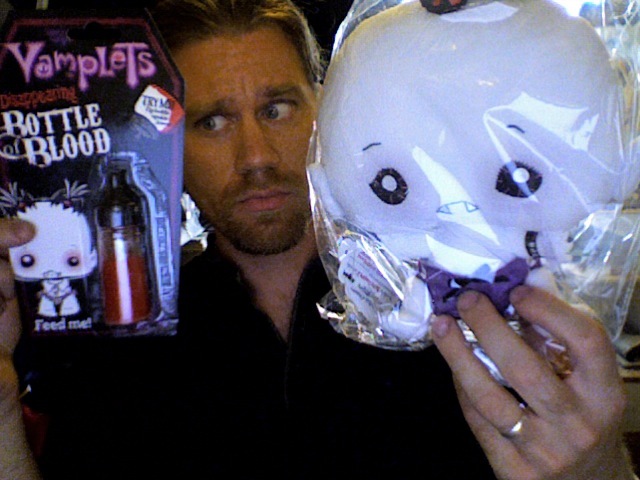 Definitely click thru to their store to check all the sweet custom Qees! 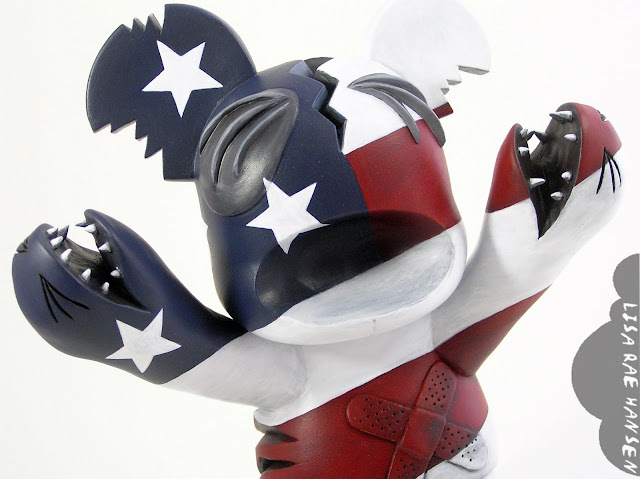 The sculpting on this custom is actually quite extensive! Looks like a lot of work went into it. You can follow LRH on Flickr here and on Facebook here. 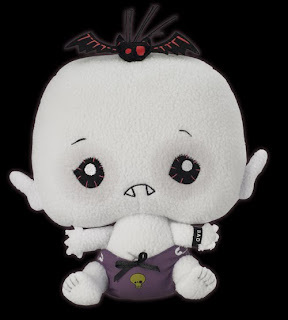 Vamplets plush baby vampires at SDCC booth 4149 + giveaway here on this blog! WARNING: Vamplets, creepy but cuddly Baby Vampyres, will be making a feast at this week's Comic-Con in San Diego, California. 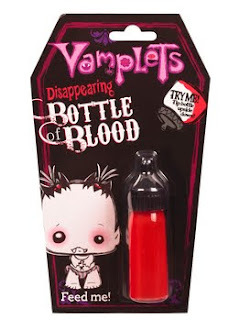 Leave a comment under this post with the name of your favorite Vampire, from any story, book or film... from Vlad the Impaler to that twinkly one Edward. If you don't have a Google account, email your answer to us with the words "VAMPLETS GIVEAWAY DRAWING" in the subject line. Just when collectors thought one artist series was enough, Toy2R proudly announces the debut of the Skelanimals Qee Artist Series Collection. 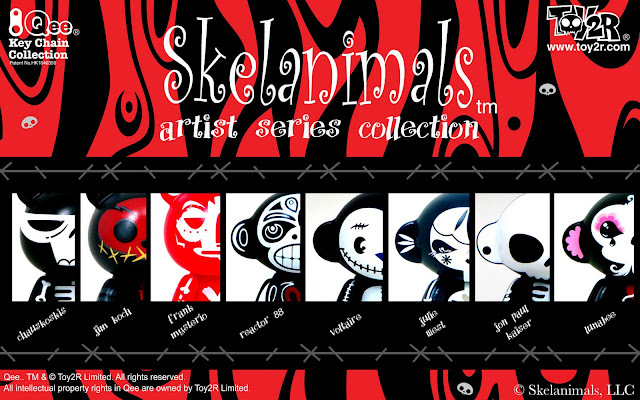 Series 1 prototypes will be on display during SDCC through Skelanimals, booth #4513. 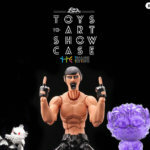 Check out the newest characters to join the Qee Universe (Chungkee & Marcy) in this unique collaborative series of one of the biggest global brands in the world, one of the original designer toy companies and 8 respected designer toy artists / customizers. This series will feature designs by Chauskoskis, Jim Koch, Frank Mysterio, Reactor 88, Voltaire, Julie West, Jon Paul Kaiser and Lunabee. Also included wil be traditional classic versions of the Skelanimals characters and of course, special chase figures all sporting a keychain attachment to make it easier to carry around everywhere. 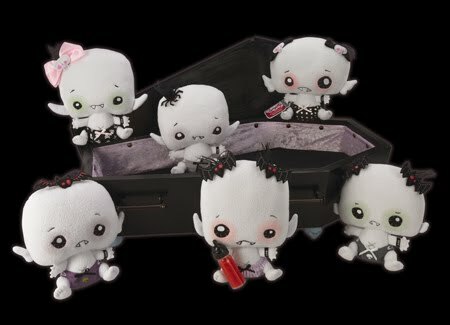 The line launches with the GID Chungkee Qee exclusive (above) being offered by Fugitive Toys during SDCC at booth #334. 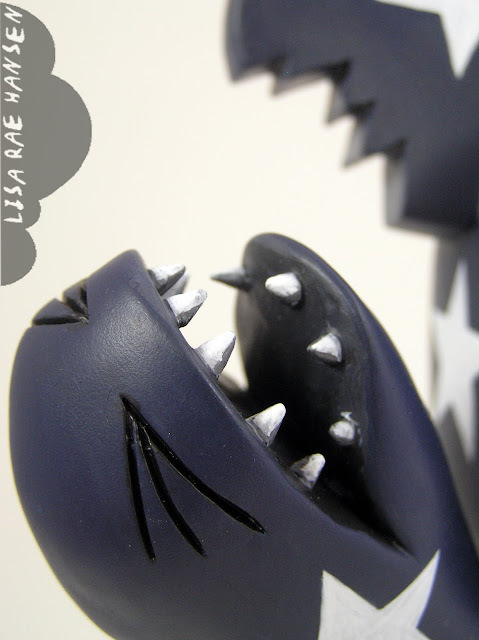 This pre-launch figure will only be available at SDCC and not be included in future releases, so collectors take note! We will be stocking the Skelanimals Qee Series at Tenacious Toys in blind box and open-box form, for your collecting pleasure!